China’s first national gene bank officially opened recently. The center will eventually store 300 million genetic samples. Currently, it stores 10 million samples. 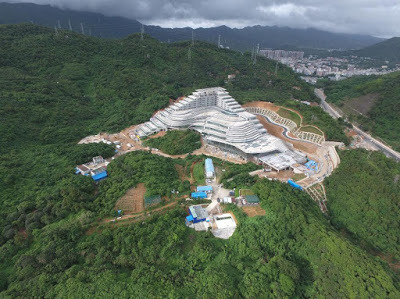 China National GeneBank (CNGB) will be the biggest genetic research center in the world as well as a major center for computer science and data science because information storage, processing and analysis will be a big part of its function. The news article about CNGB mentions that the data now stored in ­Shenzhen was previously housed at the National Centre for Biotechnology Information in the US, the European Bioinformatics Institute in Britain and the DNA Data Bank of Japan. This entry was posted in biology, computer science and tagged Computer Science, Genetics. Bookmark the permalink.